Hackers Greet Each Other Warmly At G20 Summit - Joe.My.God. Each one a hacker in a different way, of course. Democratic Senator Robert Menendez of New Jersey said Friday that Russian President Vladimir Putin and Saudi Crown Prince Mohammad bin Salman own President Donald Trump and can do whatever they want. 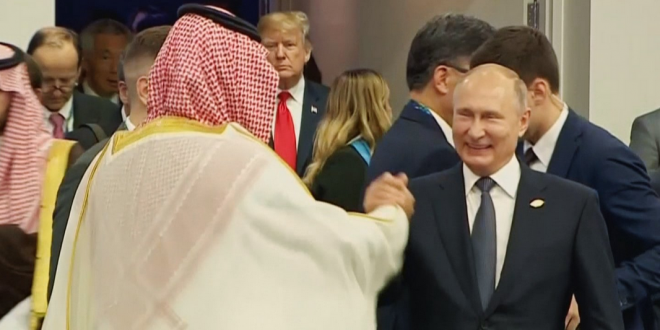 The comment was made in a tweet attached to a video of the Russian and Saudi leaders greeting each other warmly at the G20 summit in Argentina with an enthusiastic high-five that turned into an emphatic handshake.